Hundreds of Nevada County voters will receive telephone surveys likely starting next month, one of the first steps in determining whether a local marijuana tax will be on the November ballot. 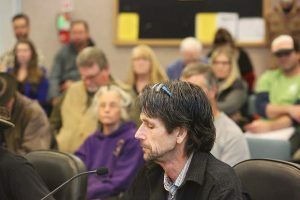 The Nevada County Board of Supervisors on Tuesday took two steps toward putting a potential ballot question to voters. It approved $40,000 for a consultant to craft the measure and $28,340 for the telephone survey. Those steps will help supervisors determine what type of tax should be placed on cannabis and whether it should go to the voters. No decision has yet occurred on what type of tax supervisors would examine. “It is contingent a lot upon the ordinance,” said Tina Vernon, the county’s treasurer-tax collector. County staff currently is drafting a permanent cannabis cultivation ordinance. Supervisors are expected to formally examine the draft ordinance for the first time in early May. Vernon said the survey, given in April and May, will include a variety of questions about marijuana. Staff can then take the answers pertinent to the ordinance and use them to shape the possible tax. One question staff must answer is whether the tax will be general or special. A general tax requires only a majority vote to pass. A special tax requires a two-thirds vote, said Alison Barratt-Green, county counsel. Vernon said officials must get the necessary information to the county’s elections office by August for the question to appear on November ballots. Cannabis advocates expressed concern over the money the county’s spending to determine if voters would approve a tax. 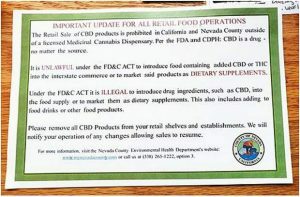 “I know that we support being taxed,” said Diana Gamzon, executive director of the Nevada County Cannabis Alliance. Wade Laughter said cannabis supporters would approve the tax, if they saw it as a method to move forward. They’d vote it down if they saw it as a hindrance. “I think this is pretty typical,” Supervisor Ed Scofield said of the process.